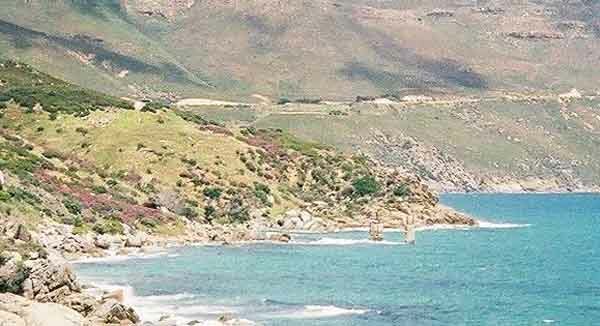 Way back in 1607 John Chapman who was the Ship's Mate of the British ship "Consent" came ashore at Hout Bay in a small boat. He landed on the beach and found that fresh water was available and that the bay was a safe anchorage for ships. In his opinion however Hout Bay was not good for much else. He missed the beautiful forests that were later discovered by the Dutch. After going back to his ship he recorded the bay as Chapman's Chaunce on his charts. The bay thereafter remained relatively unknown. When the Dutch and in fact Jan van Riebeeck arrived in the Cape in 1652 to set up a halfway station to provide stores for passing ships the bay was rediscovered. There was an abundant supply of wood (Milkwood trees) which the Dutch used to repair their ships and for building their forts etc. 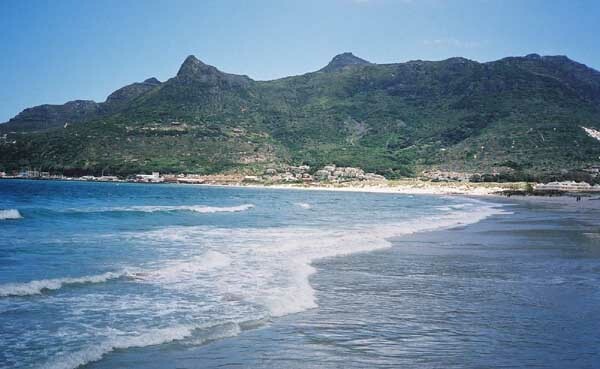 The Dutch called the bay Hout Bay (Wood Bay) because of the forests that filled the valley. It's still called that today. Chapman was however remembered when the peak forming the eastern head of the bay was named after him. In 1677 two Freeburgher farmers were granted land in the valley and planted wheat. In exchange for the land they had to supply 10% of their wheat crop to the Dutch. Hout Bay was also full of fish and especialy crayfish. It is said that the floor of the bay was like a red carpet, alive with crayfish. Today however although there are some about they are very scarce as the resource has been plundered over the years. Other fish that were found in the bay were Snoek. These fish are still very popular today and are landed in their thousands each day at the Hout Bay harbour. Another interesting occurrence in the history of Hout Bay was the discovery of manganese in the mountains above Constantia in 1873. This resource was mined from 1909 to 1911. The ore was shipped from a jetty that was built on the edge of the mountain side on the eastern side of the bay. Part of the old jetty is still to be seen today. 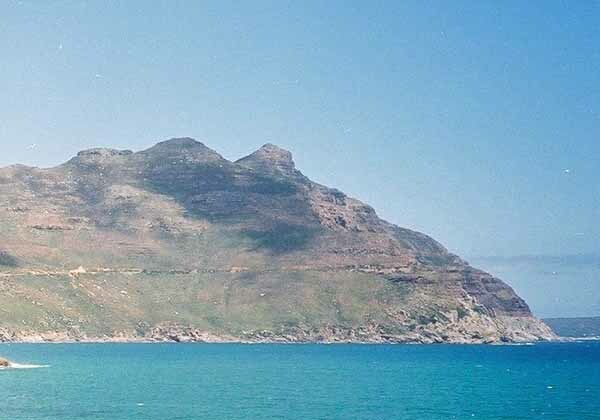 Just to the north of the jetty is the statue of the leopard which sits on a high rock looking out over Hout bay. On the western side of the bay is the fishing harbour which is very interesting to visit. The quayside has many craft stalls and boat trips to see the seals on Duiker island outside Hout bay. Mariners Wharf is well known and features a restaurant and a place to purchase fresh fish. The view across the harbour towards Chapman's Peak is quite spectacular from the wharf. On the hillside above the bay someone has built a castle. If you look at the picture of the beach where Chapman landed its half way up the mountain centre right. It looks out over the Hout Bay valley and has some really spectacular views. Hout Bay is a very interesting place to visit and most tours of the Peninsula spend some time at the harbour before carying on down to Cape Point.